Apply to attend the top foreign direct investment event in the United States before January 1, 2019 (by 11:59 p.m. EST on December 31, 2018) for a special discounted rate, $150 less than the regular price. Visit the Investment Summit website to learn more about the application process and how your organization or company can join us. What happened at last year’s Investment Summit? 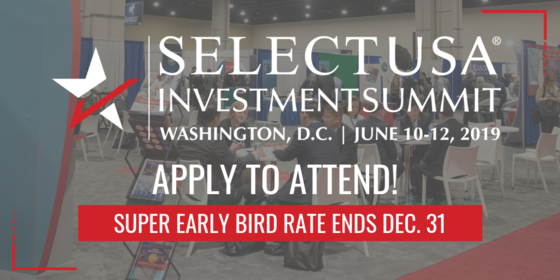 The 2018 SelectUSA Investment Summitwas the second Investment Summit to draw more than 3,000 participants, where investment projects worth more than $600 million were announced. 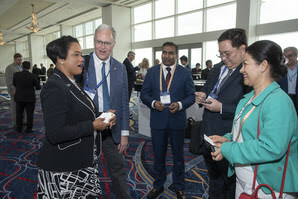 The event included participants from 66 international markets, including 1,000+ global business investors and economic developers from 51 U.S. states and territories.